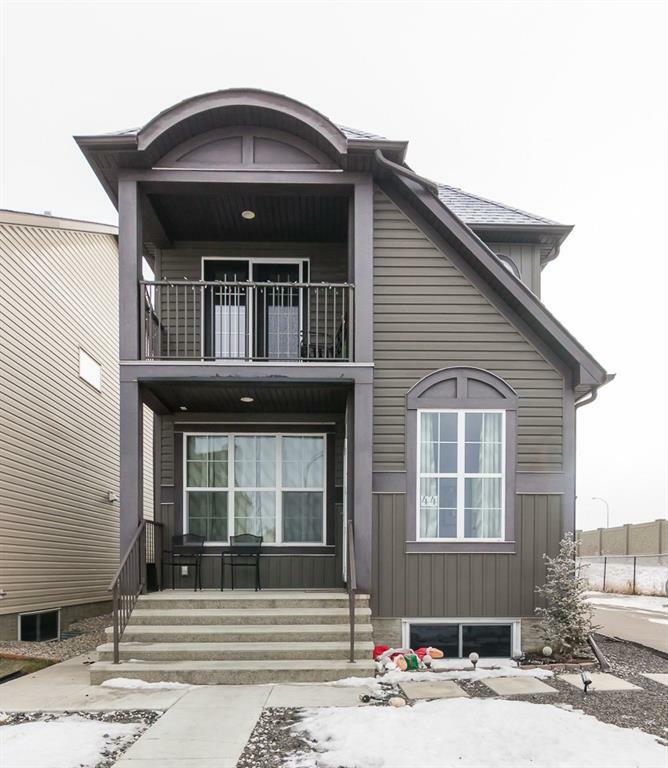 DESCRIPTION Elegant, Stylish and Stunning 4 bedroom home located in sought after Auburn Bay. Upgraded Architecture both inside and out. Rounded Half Moon Windows with Wood Trim. Wrote Iron Railing. Front Porch with Side Entrance. Spiral Staircase, Step Up Kitchen with Nook. 9 Foot Ceilings on Main and Basement. Wide Plank Flooring, Granite Counter Tops and Corner Pantry. Custom Ceiling Detail on Main Level. Stainless Steel Appliances, Modern Fireplace, Backsplash and Light Fixtures, Master Bedroom with Walk-Out Balcony, En Suite, Walk In Closet with Window. Corner Lot Elevation with Skylight. This Home is Flooded with Warm Natural Light all year long. Low Maintenance Landscaping both front and back.